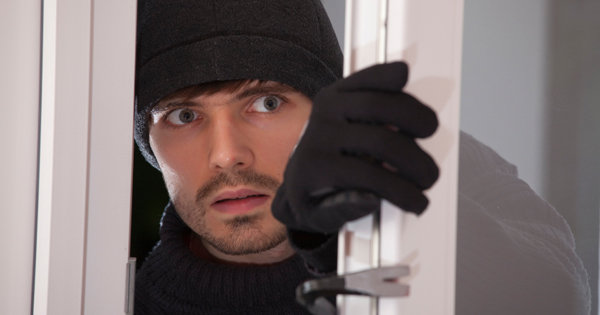 Statistically, burglary levels rise by up to a staging 50% during the UK winter months. Hence, extra caution to protect our homes should be taken during the winter season, and here is how to do exactly that. According to the UK Bedfordshire Constabulary, the best way to keep your possessions in your home (and burglars out) is to make your home look and feel occupied – even when it isn’t. One way of doing that is to tune a radio into a ‘talking’ station, such as BBC Radio 4 before leaving the house. BBC Radio 4 is a discussion and talk radio station. Hence, anybody listening in is likely to believe those speaking are occupying the premises. Meanwhile, leaving music blaring or having a sports radio channel tuned in is likely to sound exactly like what it is – a radio making noise and not a person / group of people. Consider investing in a timer to plug into lamps, like those provided by Edwardes for as low as a fiver. Less expensive to buy and to run than Christmas lights and far more practical, having lamps in family and communal spaces fitted with working timer devices is a great way to give a home the impression of being occupied. Just remember to avoid using timers to turn lights on in hallways and areas that obviously are not occupied for enduring amounts of time as this could result in creating the opposite effect and advertise your home as vacant. Equally, using timers to light up kitchens and living rooms should never be done without first tidying away any recent purchases, valuable items, keys and / or lose money; you do not, aft all, want to advertise the contents of your home, but protect them. Locking doors is one of the most obvious and effective means of preventing being burgled, as any professional locksmith or locksmith training institution such as MPL Locksmith Training would attest to. Experts in all things locks though would further remind home owners to always double lock UPVC doors and to not only lock windows, but as well consider investing in window restrictors. Immobilise is the ‘UK National Property Register’ and has been designed and secured by experts working for and with UK Police Forces. Immobilise permits people to register items from mobile phones, PCs and TVs to bicycles and much more to improve the chance of recovering items should they be stolen. The more people who make use of Immobilise, the harder a burglar’s job becomes, and so the fewer active burglars there are out there. What is more, Immobilise is an entirely free service to use. Hence, there is really no excuse or reason to at least forego exploring Immobilise as a means of protecting and improving the chances of recovering your valuable, should they be stolen this winter. Finally, a burglar alarm (and one that looks operational) is often one of the first things a burglar will notice and be deterred by. After all, why bother with a home fitted with a burglar alarm when next door evidently hasn’t got one? So, if your home has no burglar alarm fitted or you have friends and family whose homes do not have a fitted burglar alarm, raise the alarm and do something about it; they may not be the cheapest home security device, but they certainly cost far less (emotionally and financially) than being robbed.